A beautiful vintage inspired diamond halo engagement ring. 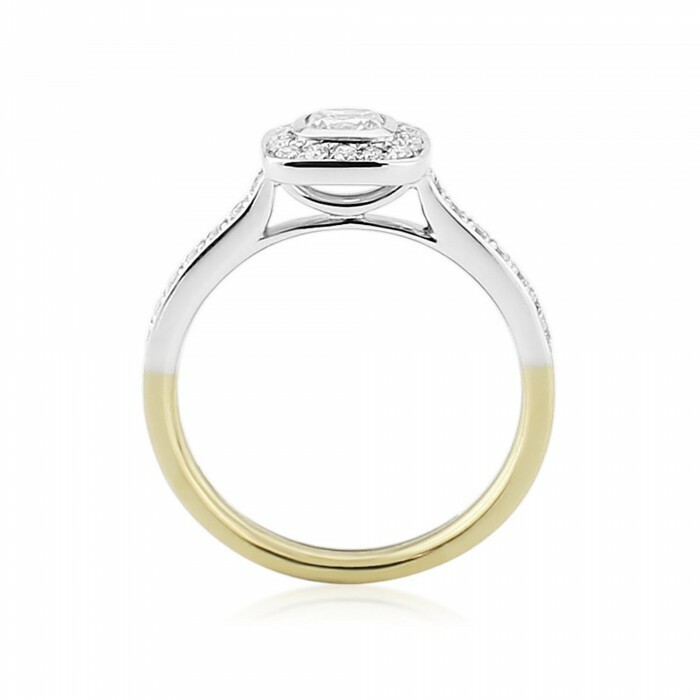 Featuring a cushion cut diamond weighing 0.37cts, set within a round brilliant cut diamond surround with diamond set shoulders. Total diamond weight 0.65cts.